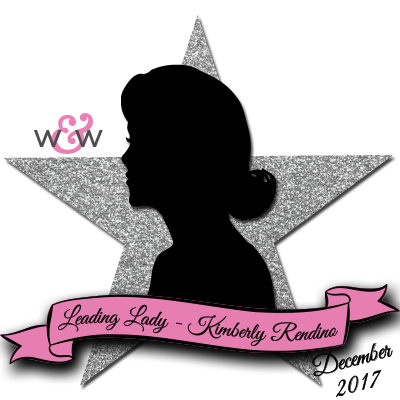 Our December Leading Lady Kimberly Rendino is back for her fantastic fourth performance! If you missed her smashing debut you must see it...CLICK HERE or her sensational second performance where she makes magic without getting inky...CLICK HERE or her triumphant third performance with a festive and fun concentration on sequins...CLICK HERE. 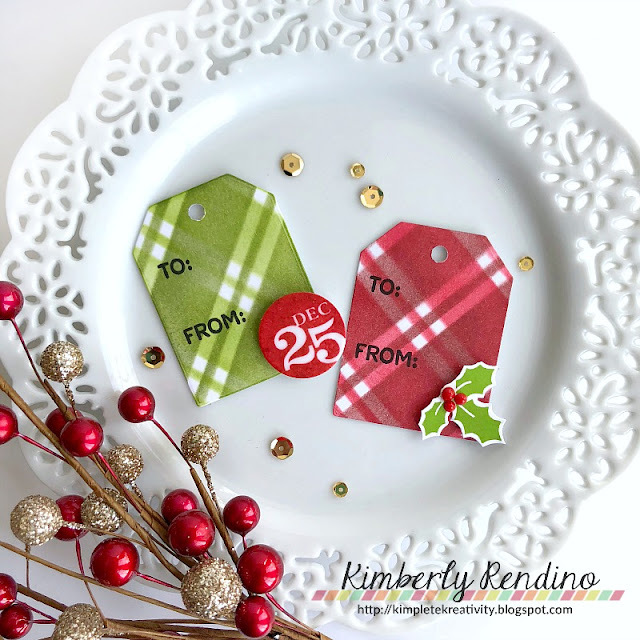 Today Kimberly showcases a dizzying array of delightful tags that are perfect for this time of year when you are finishing up those last minute gift wrapping marathons (hey I have been there!) or if you are on track this year and done with your gift wrapping to help give you ideas for next year. Hello, hello everyone! I'm excited to be back on the winnie & walter blog today - Happy Christmas Eve-Eve (ha ha!). I hope all of your holiday preparations are complete and you are able to sit back and enjoy the holidays....but if you are like me, you are still busy, cleaning the house, baking cookies, and.....you guessed it - creating gift tags! Today I've got a few tags to share with you - and the best part is they were all quick and easy to make! First up, I created a plaid background using the new Scenery: Ticking Stripe Creative Screenings. I sponged on Distress Ink in a dark shade and then rotated the stencil and inked again with a more vibrant shade. I die cut the tags using Tagged: Holiday Cheer cutaways, and embellished with stamped and fussy cut holly and Dec. 25 images from Happy Christmas. These next tags were stamped with the detailed tag image from Tagged: Holiday Cheer and die cut, again with the Tagged: Holiday Cheer cutaways. I embellished these tags with Copic colored images from the super adorable Winter Wishes with Evelin T Designs, cut out with the coordinating cutaways. They were adhered with foam tape and offset just a bit. The sentiments are from the Tagged: Holiday Cheer stamp set. 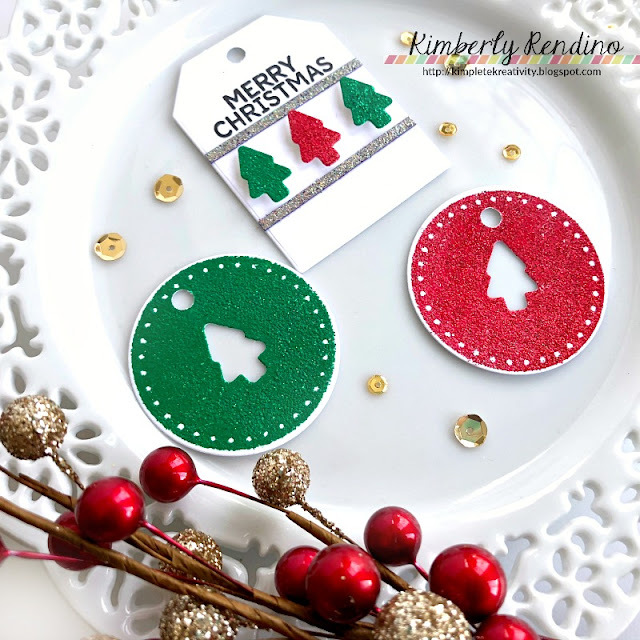 Finally, I stamped several of the detailed circle tag images from Tagged: Holiday Cheer with Versamark ink and heat embossed with glitter embossing powder. I die cut trees (from In a Word: Merry Coordinating Cutaways) from the center of each tag. I used those trees on the next tag, popping them up with foam tape and adding a sentiment from Tagged: Holiday Cheer. 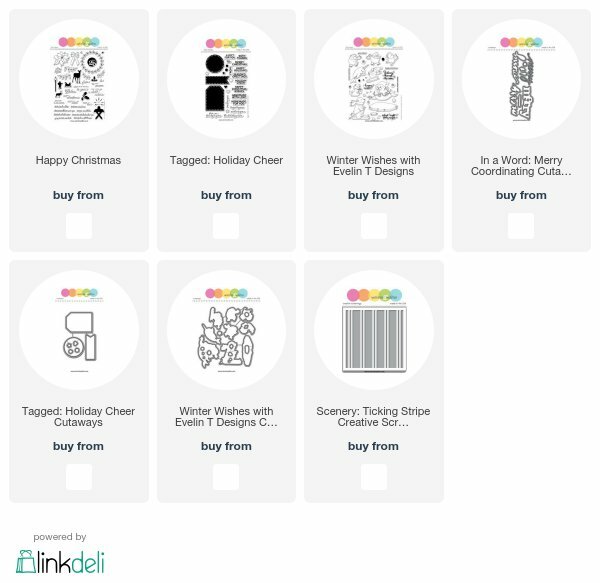 I hope these quick & easy tags have inspired you to create some last minute tags yourself! And if not.....there's always next year, lol!! 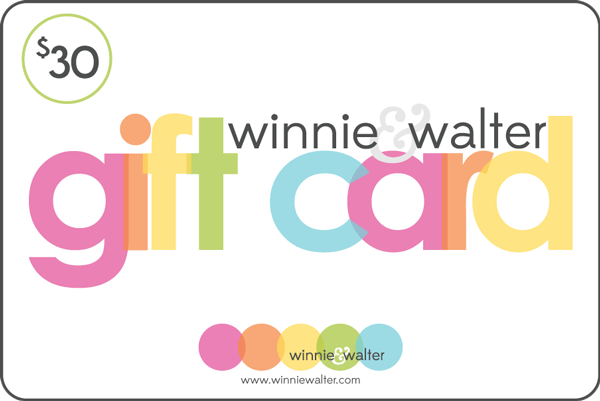 Be sure to head over to my blog, Kimplete Kreativity, for a chance to win a gift card to w&w, generously provided by Shay! See you again next week for my final performance as December's Leading Lady! Happy Holidays! Kimberly did a fantastic job this month! These cards are adorable! These tiny tags are adorable. Thanks for the inspiration as I am making my Christmas tags today. Fabulous set of tags! I love that plaid design she created! And I LOVE those sweet penguins! You've been a wonderful Leading Lady! Love all the ideas you've shown & I'm getting that stencil in my next order! Adorable tags!!! Merry Christmas and Happy New Year to everyone!!! These tags are so bright and festive. The penguins are too adorable. Sweet and festive tags. Great ideas. I LOOOOVE your creation, and I love how you showcased them! I love those tiny tags more, so cute! Tags are my favorite project because you can just have fun with them. those penguin tags are adorable to the max! Such bright and merry tags! I love the simple, but fabulous designs. Love how you used the glittery embossing powder. Super-sparkly...Yum!! Super cute tags, LOVE the sparkle and those penguins are adorable!